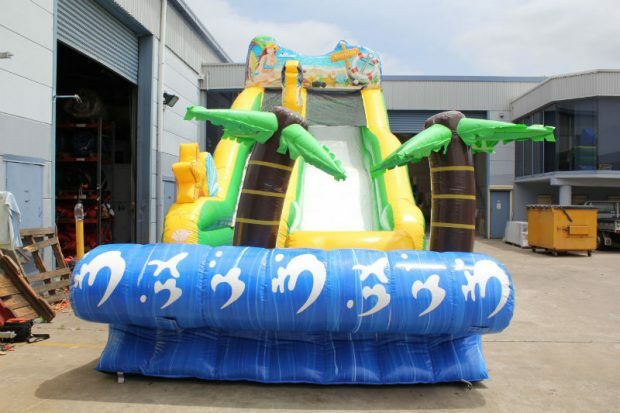 The Wave Crush Water Slide arrived in November of 2014 and has been in huge demand ever since. 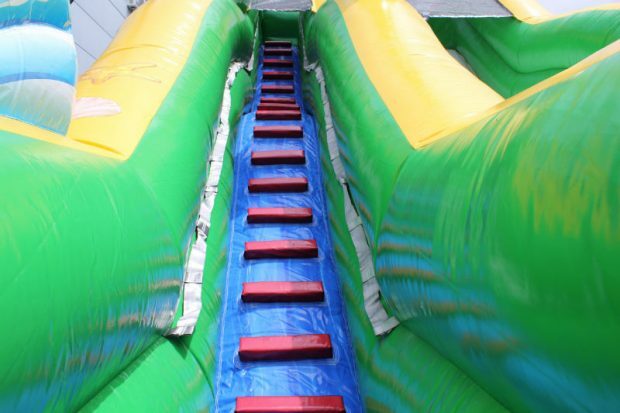 More compact than some of our giant slides, this one is more backyard friendly and has an interesting unique feature. 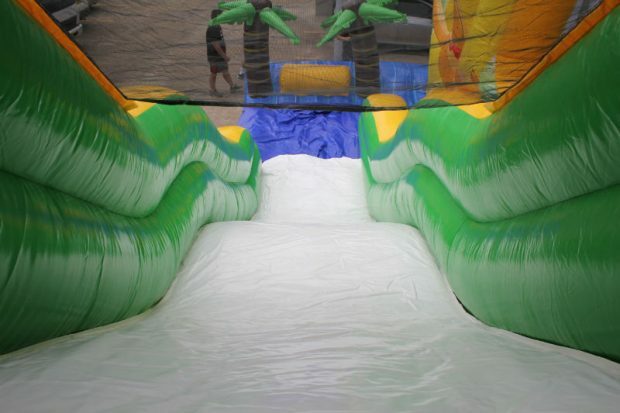 This inflatable water slide is a little different. 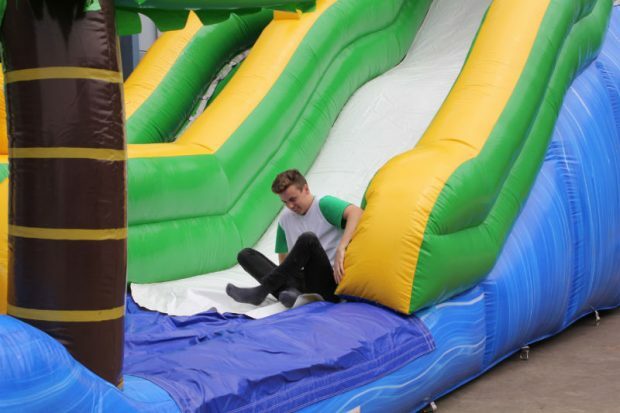 It has a bump half way down the slide, which resembles a wave. 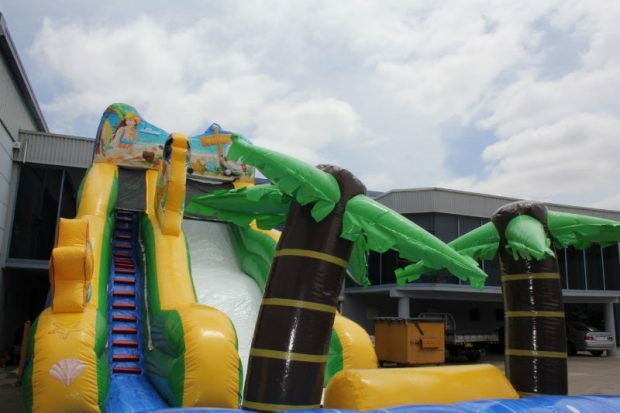 Also, the slide has a splash landing pad to ensure a safe, yet exciting landing after riding the Wave Crush Water Slide. 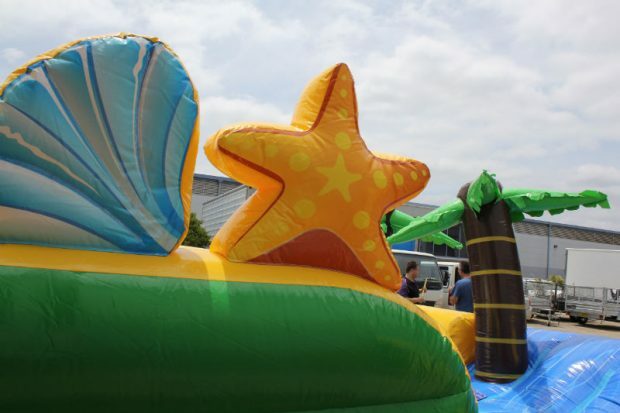 Hire it for your backyard on a sunny weekend or for a birthday party, soccer club presentation, corporate fun day or a community event. 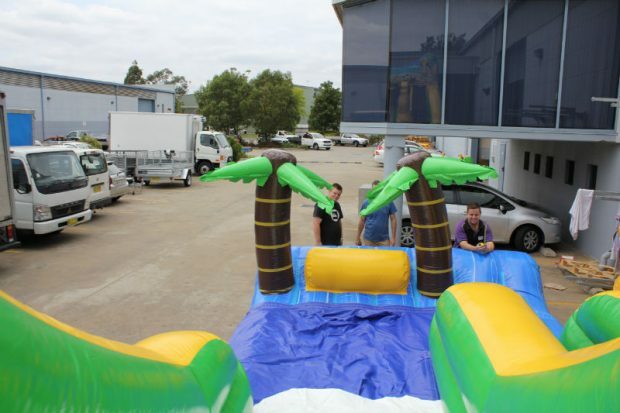 Hire it for your backyard on a sunny weekend, for a sports club presentation, corporate fun day or a community event. 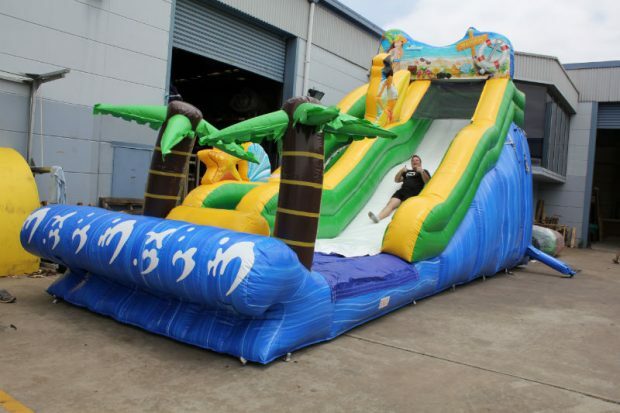 Finally, whichever water slide you choose to hire, endless fun awaits. 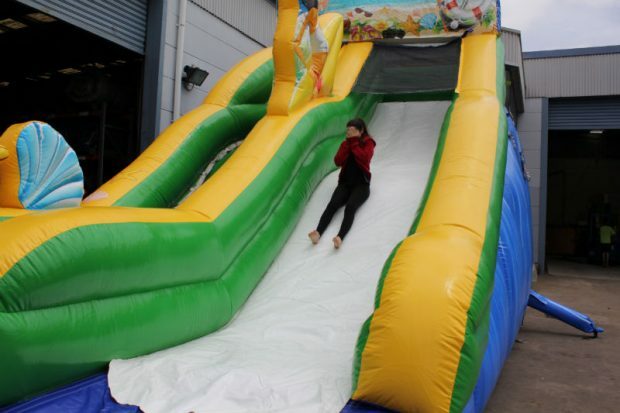 With water, speed and colour, they always take centre stage at events. 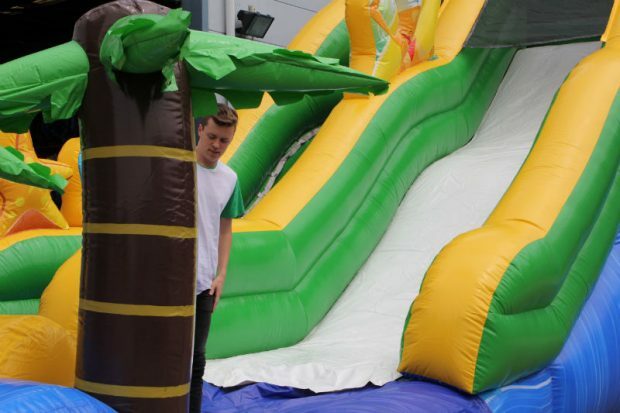 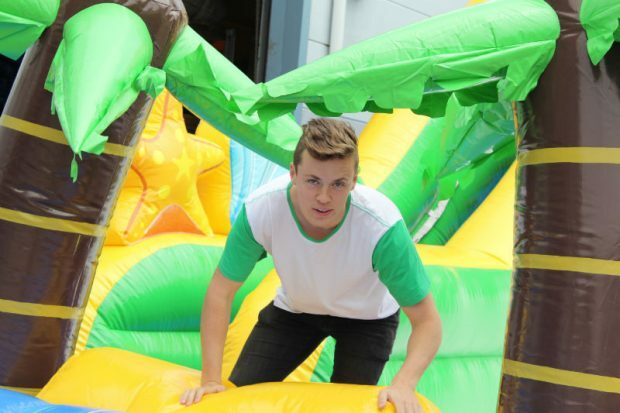 A water slide is a great way to spice up your corporate events. 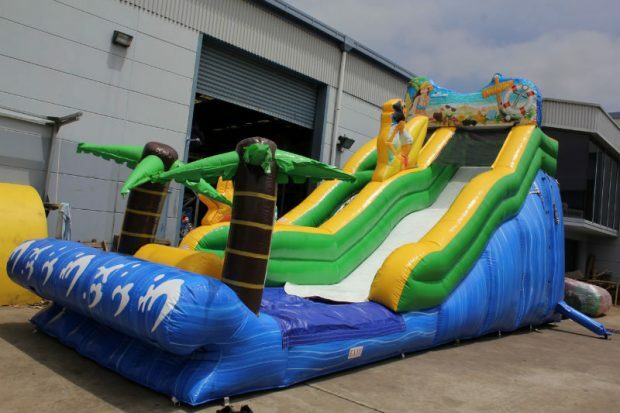 Also, for other ideas see our Fire N Ice, or Wild Rapids water slides.